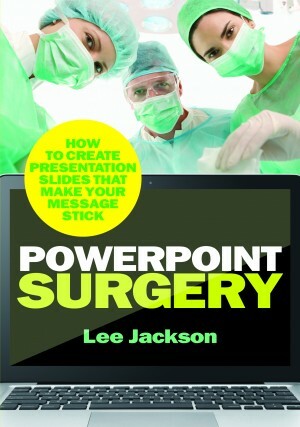 PowerPoint Surgery the book was a genuine Amazon best seller. Don’t let your slides be an after thought, let them enhance your presentation! Lee was invited to speak at the Professional Speaking Association’s Convention in London to help 120 professional speakers make their slides enhance not kill their message. Filmed at the Victory Services Club in Marble Arch on the same stage where Winston Churchill spoke from just before the war. This is that talk live with the slides… learn how to make great powerpoint or keynote slides, so we can kill death by powerpoint once and for all! Call Lee now on 0113 2170081 to get expert help for your presentation slides.